A survivor of the Holocaust is to visit the University of Wolverhampton to present the annual Memorial Day Lecture. Uri Winterstein was born in Bratislava, Slovakia in October 1943, and was put into the care of a non-Jewish woman when he was just a month old. During the Second World War his parents and sister were sent to a concentration camp and he was not reunited with them until after the war ended. He will visit the University of Wolverhampton to present the Holocaust Memorial Day Annual Lecture on Thursday, 31 January 2019. The lecture will take place from 5pm – 7pm in the University’s Mary Seacole Building in (Room MH002). There will be refreshments available in the Lord Swraj Paul Building Forum café from 4.15pm. The event is organised with the Holocaust Educational Trust and attended by University staff, students and school groups. 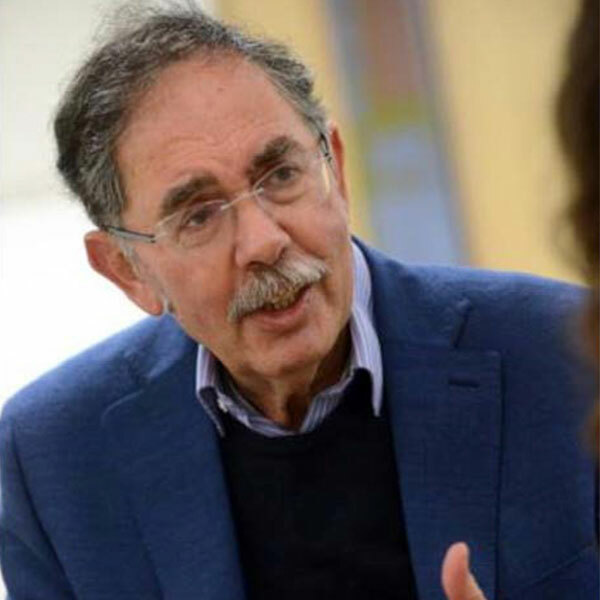 Dr Richard Hawkins , Reader of History , said: “We are looking forward to welcoming Uri Winterstein to the University to share his experiences and insights at our annual Holocaust Memorial Day Lecture. Uri Winterstein was born in Bratislava, Slovakia in October 1943. His parents were both lawyers but his father’s main passion was the welfare of the Jewish community and he was very active in Jewish affairs from his university days to the end of his life. When Uri was only a month old, his parents put him in the care of a non-Jewish woman, and he was not reunited with his family until after the war. They did so because they realised that it would be very difficult to keep a baby quiet if they needed to go into hiding, an eventuality for which they felt they always had to be prepared. Nine of Uri’s wider family were sent to Auschwitz, where they were killed. During the War, Uri’s father was a member of an underground movement known as the Working Group, whose biggest single achievement was to halt the deportation of Jews from Slovakia for almost two years (from October 1942 to late September 1944). They achieved this by bribing key SS officers and government officials. In autumn 1944, Uri's father was deported to Theresienstadt, a concentration camp in what is today the Czech Republic. His mother and sister managed to evade being deported as well that day, and went into hiding underground. However, they were eventually caught and also sent to Theresienstadt. When the Russian army was approaching Bratislava, the family Uri was with decided to flee and gave him to a local peasant woman to look after. This woman did not wish to be bothered with the care of a child and Uri received little attention. When he was reunited with his family at the end of the war, aged 19 months old, he could not walk or talk at all and ate only a roll dipped in coffee, the food he had eaten during his stay with the peasant woman. Despite this, without the minimal care she gave him, he could not have survived. After the war, life returned to a semblance of normality. Following the takeover of Czechoslovakia by the Communists in 1948, his family left the country and ended up in Brazil, where Uri grew up. Uri’s parents tried to protect him by not dwelling on the past but focusing on the future, and he thought that he had escaped any trauma. However, when about 15 years ago he was asked to do a reading at a Holocaust Memorial event, he broke down in the middle of the reading and wept uncontrollably. He then realised that his and his family's experiences during the Holocaust had affected him more than he had imagined. Uri is married and has two daughters, a son and five grandchildren. He lives in London and has been speaking in schools for the Trust since 2013.